A tiny bit of Justice. U.S. Army Private First Class Bradley Manning, the soldier convicted of giving classified state documents to WikiLeaks, is pictured dressed as a woman in this 2010 photograph obtained from court documents on August 14. Can Manning get hormones in prison? 'Partial victory' in Manning case? In this handout photo provided by The Guardian, Edward Snowden speaks during an interview in Hong Kong. Snowden, a 29-year-old former technical assistant for the CIA, revealed details of top-secret surveillance conducted by the United States&#39; National Security Agency regarding telecom data. (CNN)Chelsea Manning will be released from military prison next week, according to a statement from her attorneys Tuesday. 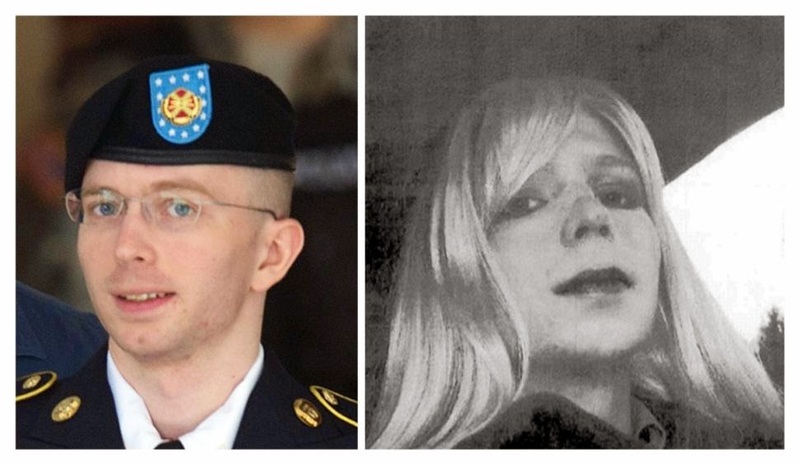 A former Army intelligence analyst and transgender woman, Manning was sentenced to 35 years in prison after being convicted in 2013 of stealing 750,000 pages of documents and videos before leaking them to WikiLeaks -- one of the largest and most embarrassing leaks of classified information in US history. But then-President Barack Obama commuted Manning's sentence in January, thereby providing her with an early release date. Expressing relief about the impending release on Twitter Tuesday, Manning said: "Freedom was only a dream, and hard to imagine. Now it's here! You kept me alive <3"
Manning has been forced to serve her sentence in an all-male military prison despite a request to transfer to a civilian prison. "For the first time, I can see a future for myself as Chelsea. I can imagine surviving and living as the person who I am and can finally be in the outside world," she said in a written statement. "I hope to take the lessons that I have learned, the love that I have been given, and the hope that I have to work toward making life better for others." Manning's representatives could not provide her exact release date when reached by CNN, but a statement from the White House in January said her prison sentence is set to expire on May 17. "Chelsea has already served the longest sentence of any whistleblower in the history of this country. It has been far too long, too severe, too draconian," Manning's attorneys, Nancy Hollander and Vincent Ward, said in a joint statement. "President Obama's act of commutation was the first time the military took care of this soldier who risked so much to disclose information that served the public interest." News of Manning's commutation set off harsh criticism from some Republicans and intelligence officials who opposed the move in January, but Obama said she had served a "tough sentence." I wonder how much she could make as a Reality TV star? At the very least, she'll make a fortune off the Book and the Movie Rights. This is a made-for-Oliver-Stone blockbuster. Intruder of Yahoo, Microsoft and NYT was best known for reporting Manning leaks. 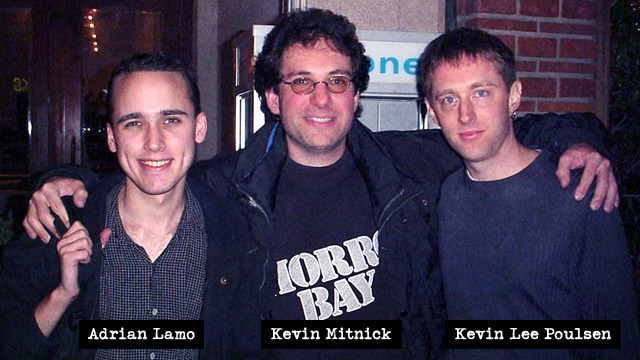 Lamo, left posing with fellow hacker friends Kevin Mitnick and Keven Poulsen circa 2001. Adrian Lamo, the former hacker who reported Chelsea Manning to US authorities for leaking hundreds of thousands of classified State Department records, has died at the age of 37, according to a family Facebook post and a report from ZDNet, which cited two of Lamo's family members and a county coroner. "With great sadness and a broken heart I have to let know all of Adrian’s friends and acquittances that he is dead," his father, Mario Lamo, wrote in a Facebook post. "A bright mind and compassionate soul is gone, he was my beloved son." It's not yet known how Lamo died. Lamo was best known for notifying the US Army and FBI in 2010 of online chats he had with Manning, who at the time was a US Army intelligence analyst who went by the name Bradley Manning. According to a Wired article that broke the news, Manning befriended Lamo online and soon trusted him with a highly sensitive secret: that Manning was the person who had recently leaked a classified video to Wikileaks of a deadly US Army helicopter attack in Iraq. The video, which showed several innocent civilians being killed, went viral almost immediately after Wikileaks posted it and fueled criticism about the US-led war in Iraq. Lamo has contributed funds to Wikileaks in the past, and says he agonized over the decision to expose Manning–he says he's frequently contacted by hackers who want to talk about their adventures, and he has never considered reporting anyone before. The supposed diplomatic cable leak, however, made him believe Manning's actions were genuinely dangerous to U.S. national security. For the rest of his life, Lamo remained a figure who was reviled by most of Manning's many supporters and admired by some people for reporting the leaker. Lamo first made a name for himself in the 2000s with a string of hacks on the networks of Microsoft, Yahoo, and and other Internet companies. According to this Wired profile, Lamo would intrude into the company networks, commit mostly harmless pranks, and then notify the company officials and sometimes the press of his feats. He reportedly infected a New York Times network with a backdoor, which he then used to obtain home phone numbers of more than 3,000 of the paper's Op-Ed contributors, including Vint Cerf, Warren Beatty and Rush Limbaugh. During much of that time, Lamo lived out of a backpack and traveled the country on Greyhound busses and Amtrak trains. He often obtained his Internet access from university libraries and Kinko's shops. In 2004, Lamo pleaded guilty to federal charges that stemmed from the NYT hack. According to Poulsen, Lamo was sentenced to six months of house arrest at his parents' home in Carmichael, California, followed by two years of probation. Poulsen, who is also a former hacker who was prosecuted by federal authorities and knew Lamo socially, went on to report that in later years, Lamo was diagnosed with Asperger's, a mild form of autism that Poulsen said is sometimes known as "geek syndrom" because it "makes social interactions difficult, and can lead to obsessive, highly focused behavior."